The urban industrial wedding, a trend that started a few years ago, is taking over hunty. If you sweat this aesthetic on a daily basis, keep it 100 and get this look for your big party. Yes, it is a bookstore. Ready for a woke and affordable wedding day? You can buy the tulle at this Etsy store located in Pasadena, CA. If you are a city couple at heart and adore wide raw spaces with exposed brick, an urban industrial wedding is for you. Get inspired by these lit ideas for your decor and even your dress. 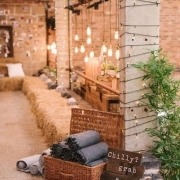 The most fab thing about these spaces is that they can marry any wedding theme you can dream of: vintage, organic, glam, classic, rustic or boho. They all exude this fine vibe filled with the finesse you want for your special day. 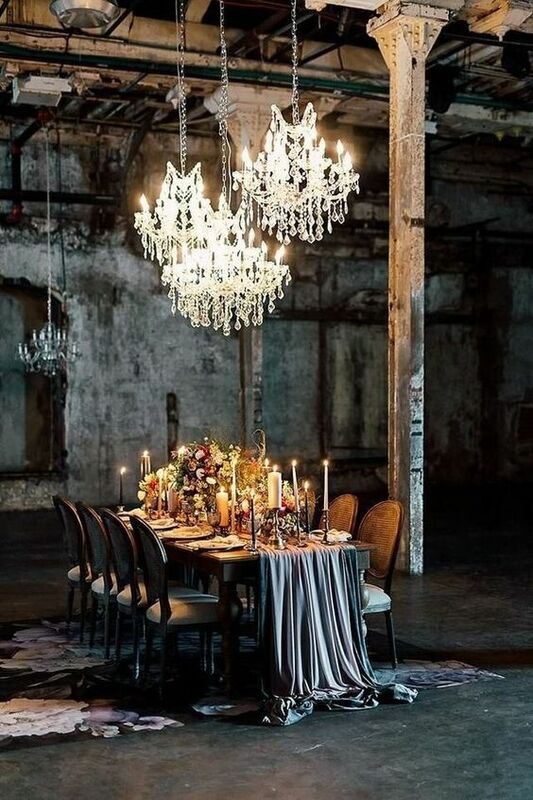 An industrial wedding is a great theme for non-traditional and unconventional couples who feel that raw spaces, like basements or unique venues, represent them best. Refurbished factories with exposed brick, straight lines, old pipes, earthy and moody color palettes are at the core of the urban industrial wedding. Decorate these spaces with easy finds and affordable materials. Steal these decor ideas that are taking over hunty and rock the industrial wedding vibe in style! The beauty of an industrial space is that it lends itself to any color palette and it makes it truly memorable. Consider the effect you would like to achieve. Boho brides may add whimsical and vibrant pops of color, go for pale blues or neutrals like ivory of gray for a more vintage look, or glamify with metallics. Choose a dark moody color palette for a downright impressive venue decor. 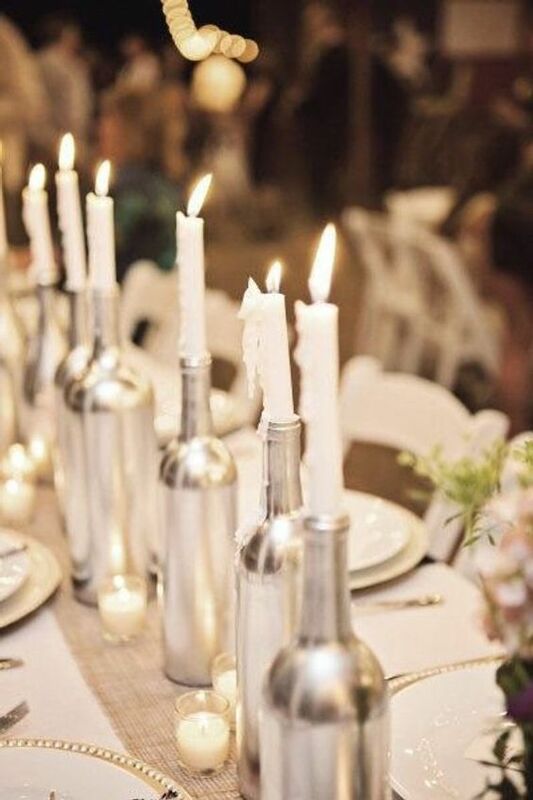 Loving these silver wine bottles. Perfect centerpiece to brighten up your industrial wedding soiree. Via an Etsy shop in Muncie, Indiana. These raw spaces are non-traditional and unique. Many of them are factories, power stations, old churches, or even lofts with ample and open spaces that can look cold yet sober. 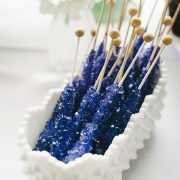 They are a total declaration of independence from traditions that allow us to create spectacular effects and dramatic decorations. For example, the The Fermenting Cellar in Toronto, ON is an ideal setting for an industrial wedding. The contrast of the hanging chandelier against the galvanized columns and the exposed cement bricks is worthy of the most sophisticated industrial weddings. The flowy pale blue table runner adds a touch of softness to the stark beauty of this old distillery. This wedding has all kinds of dramatic glam that contrast with the raw urban space. Venue The Fermenting Cellar in Toronto, ON. Photo by Purple Tree Photography. 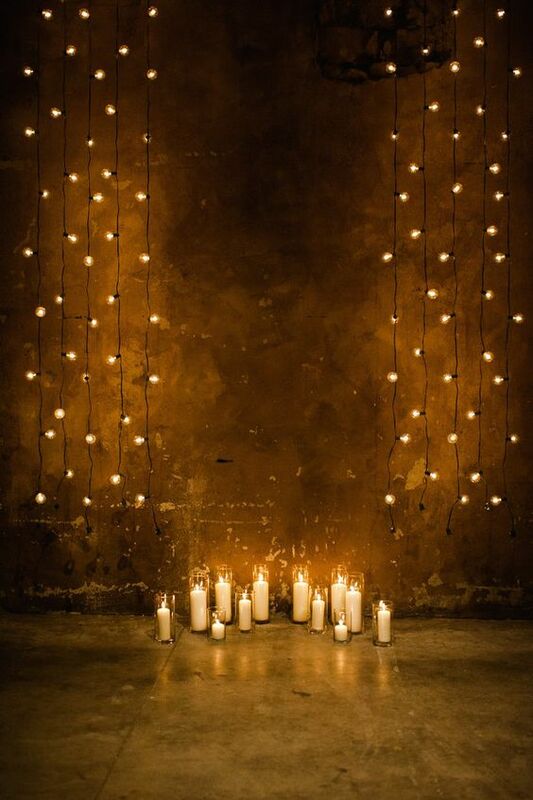 Hanging strings of light bulbs and candles make for both an impressive and budget-friendly ceremony background. Toronto Wedding at The Fermenting Cellar from Jenn and Dave Stark. 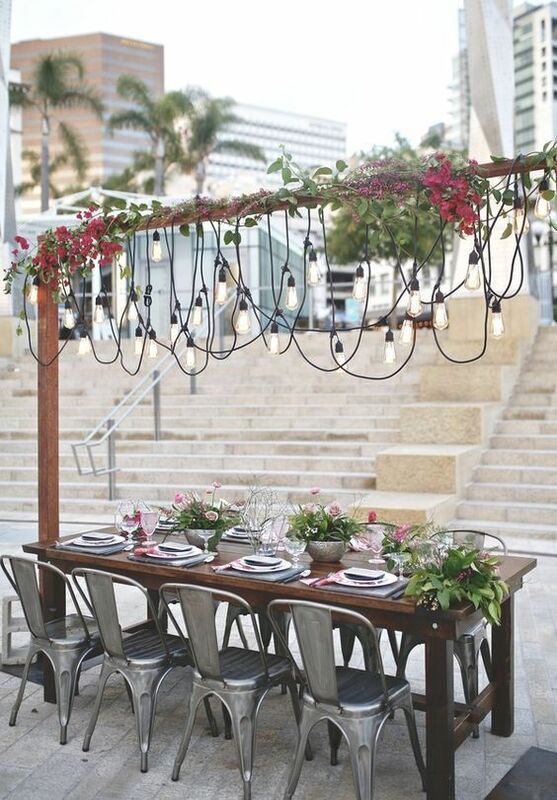 At first glance, the light bulbs or lamps installation over the wedding tables manage to give that urban and original touch to this outdoor industrial style reception at Horton Plaza Park in San Diego, CA. 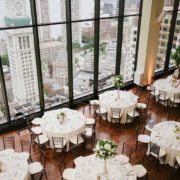 Get inspired by this urban-chic reception at the Horton Plaza Park captured by Willmus Weddings. Even if the wedding is hosted at an alternative venue, there’s no need to ditch the sweetness of the floral arrangements. 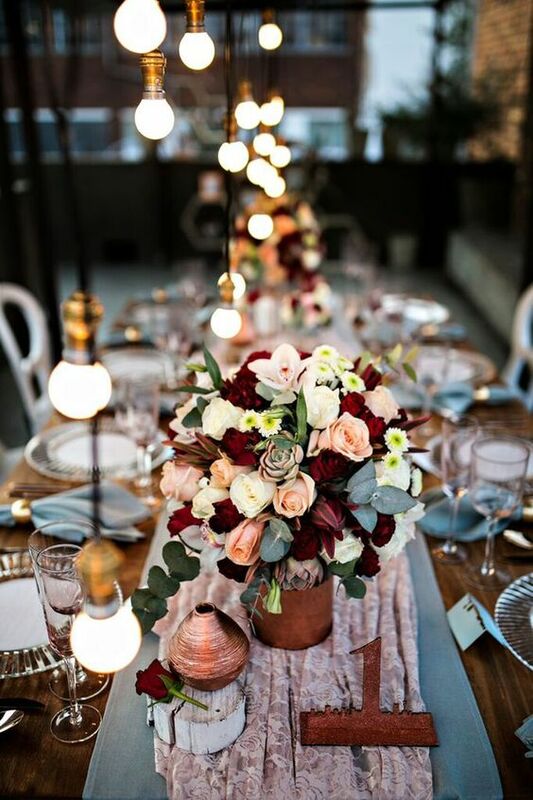 We are loving the vintage rustic industrial vibe of this tablescape at a very urban setting. Def steal-worthy! Fabulous industrial chic decor in pink and dusty blue with pops of moody tones. We have chosen this image because not everything is dark and somber at an urban industrial wedding. This white industrial reception decor pops with swoon-worthy details of greenery garlands and bright fuchsias on the flowers and napkins. All beautifully integrated and contrasting with the polished cement and white brick walls. Lakeland Haus 820 is an urban industrial wedding venue in Tampa Bay, Florida. Loving the modern green and fuchsia vibe. Via marrymetampabay. An industrial wedding often seems undone and unstructured, but it is the exact opposite. For this wedding style, the details are of extreme importance and each corner and space must be well thought out and impeccably executed. Wood, wrought iron, and cement are amongst the most used materials at an industrial wedding. Think construction materials from home improvement and supply stores. Another good source of decorations for these weddings are antique shops and flea markets that often feature furniture, art and metallic knick-knacks. 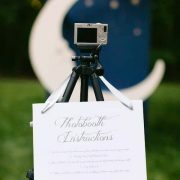 All the perfect addition to the most on point details for an original, modern and urban industrial wedding decor. 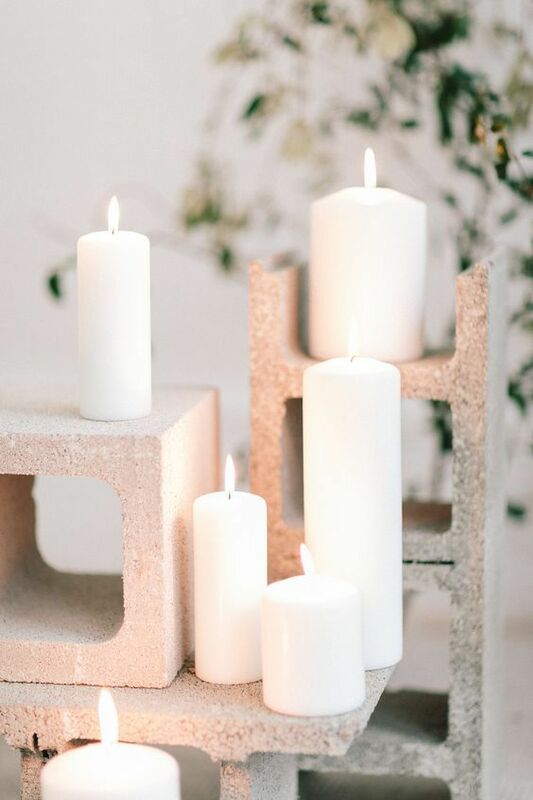 All you need for this industrial-inspired decor are cinder blocks and candles. Ultra creative and affordable. Photographer: Julien Bonjour. Here are some serious ideas that are the icing on the cake for your bash to look spectacular and on fleek. 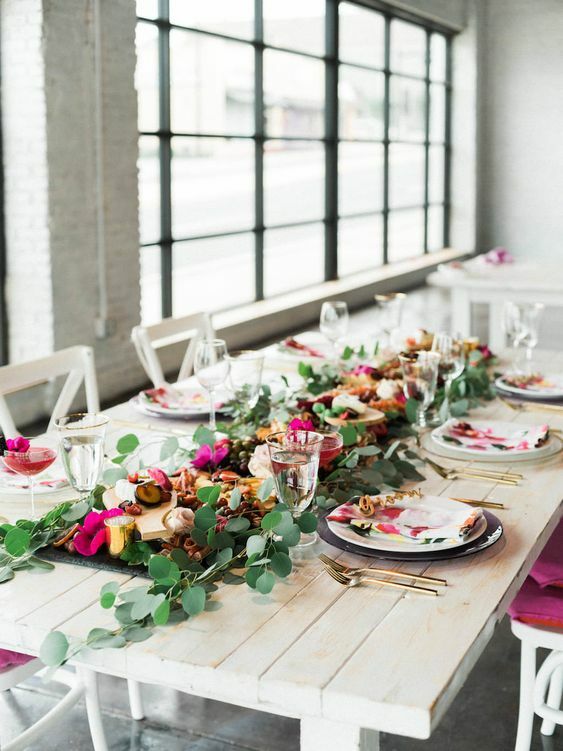 Industrial weddings are modern and budget-friendly. 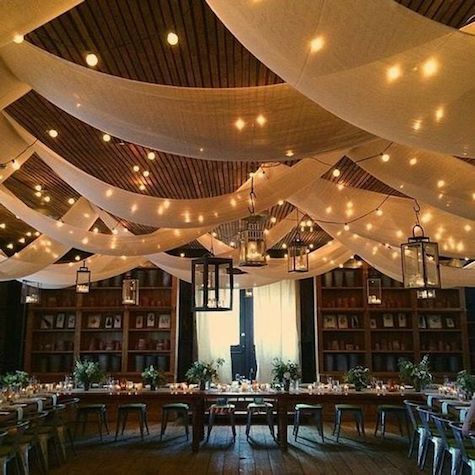 The venues are more affordable, and you can DIY some lit structures as decor. Sometimes, all you’ll need is baby’s breath in aluminum containers. 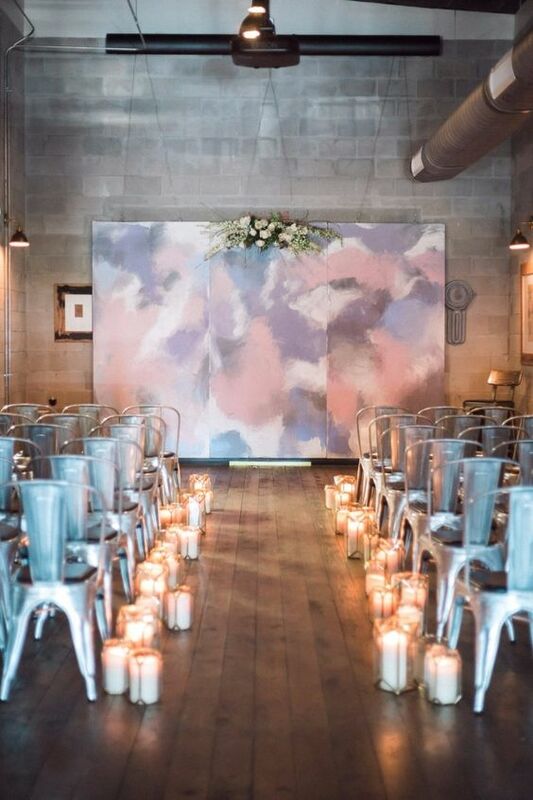 Three-panel hand-painted mural in pastel tones for your urban industrial wedding ceremony background that can be repurposed as home decor. And one of the most woke wedding memories ever. Religious ceremony decor industrial style. The industrial wedding aesthetic of unexpected places like this brewery is definitely on point. 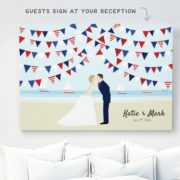 Three-panel hand-painted mural for the ceremony background that can be repurposed as home decor. And one of the most woke wedding mementos ever. Ready to plan your urban industrial wedding? 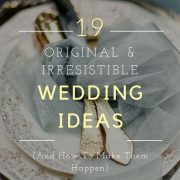 Photo Credits: southbound bride, brides, mywedding, chicvintagebrides, weddingchicks, junebugweddings, greenweddingshoes, rocknrollbride, bespoke-bride, MODwedding, 100layercake, bridalguide.